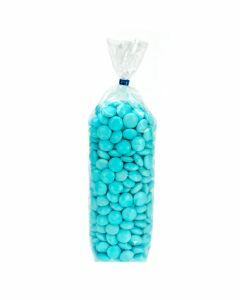 New Narrow Size Bags are a great way to retail your products! 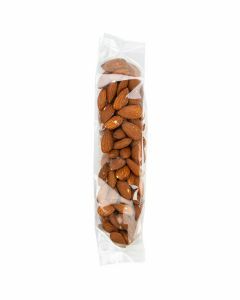 Our heavy-duty gusset bags are a great choice for food packaging and other retail products. The HDGB5 bag measures 1 3/4" x 1 3/4" x 8 1/2" and is laminated for extra strength. 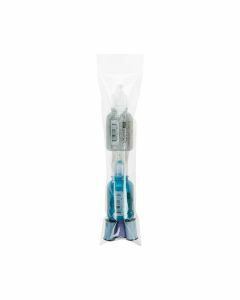 Tear notches are located on the long side of the bag making it ideal for products like candy bars, granola bars, dipped pretzel rods, pencils, and more. Food safe. When you need narrow dimensions, our FDAGB8 side gusset bag is an excellent option. 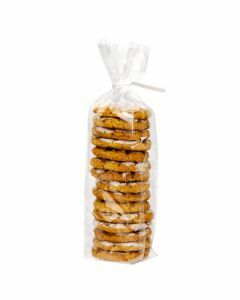 The FDAGB8 bag measures 1 3/4" x 1 3/4" x 8 1/2" and works well for a stack of mini cookies, candies, pretzels, favors, and more. This bag is food safe and made of 1.2 mil BOPP for exceptional clarity. Heat seal or dress up with a ribbon or twist tie to close. Expandable sides and a cardboard base are ideal for packaging special treats. 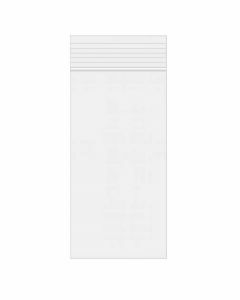 FGPB10 is our high clarity flat bottom gusset bag with paper insert that measures 1 3/4" x 1 3/4" x 8 1/2". 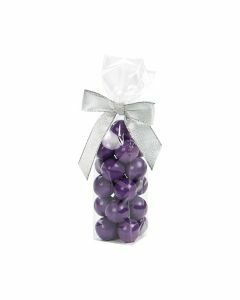 This bag is perfect for cake pops, candied nuts, and chocolate. Heat sealing not recommended. For the heat sealable version of this bag, try FGPBH10. 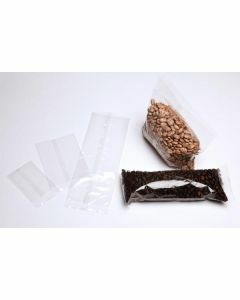 Keep your products secure in the retail setting with our flat heat sealable bags. 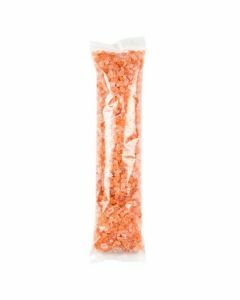 This narrow SFB28 2" x 8" bag is perfect for candy, granola bars, bath salts, crafts, incense sticks, and more. The bag is designed with a crimped bottom seal and back center weld for extra durability. Heat seal with a crimp sealer or poly hand sealer. Food safe.